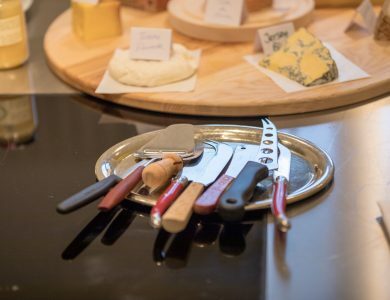 Invite Sherly, the cheese sommelier, to run and host a fun & dynamic Cheese Master Class at your event location! 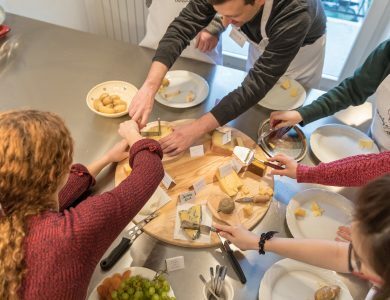 Sherly and team will visit your company or workshop location for an interactive group class where your team will be learning about identifying & categorizing cheese, cutting & plating it like a cheese sommelier, tasting & pairing cheese with wine. It’s entertaining, engaging, and interactive! Include a 2 hour slot in your business workshop agenda for fun and engagement. A great ice-breaker or a fresh lunch/snack break that gets participants moving and talking to each other! Gain cultural insights & great conversation opener! Cheese is so much more than just cheese! It reflects the climate, culture and life style of the region. Participants will gain cultural insights to the Swiss culture through this class. The topic will give them a great conversation topic for any networking occasions whether business or private. 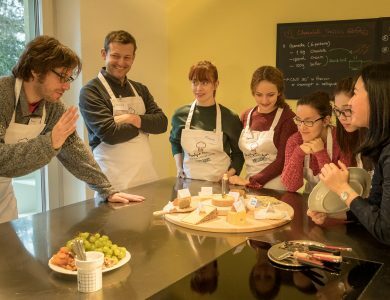 Our Cheese Master Class is also listed under Swiss Tourism’s local experience. Flexible time & budget! We can customize the class duration and budget based on your agenda and special needs. Talk to us! Rave reviews from clients! Sherly started her career as a corporate trainer and designed numerous workshops and classes. Some of our best clients include global companies like Google, Swiss Re, Zurich Insurance, UBS etc.